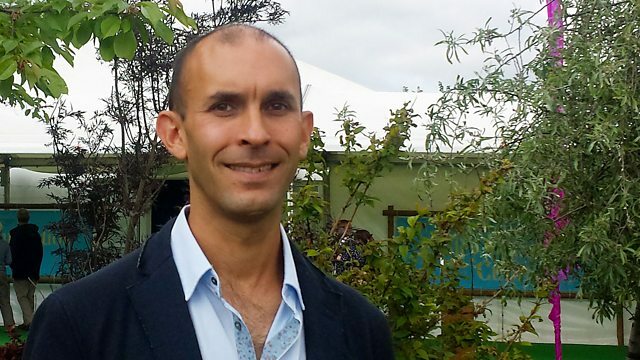 Professor Anil Seth of Sussex University discusses the hard problem of understanding consciousness with Jim Al-Khalili, in front of an audience at the Hay Festival. Anil Seth is professor of cognitive and computational neuroscience at the Sackler Centre at the University of Sussex, where he studies consciousness. His research has taken him in all kinds of directions, from reading philosophy, to computing and virtual reality, and mapping the brain. As well as running the interdisciplinary centre and carrying out experiments that test ideas about consciousness, Anil Seth has co-written a popular book, The 30 second brain, and was the consultant on Eye Benders, the winner of the Junior Royal Society Book Prize in 2014. He talks to Jim al-Khalili about how scientists can study altered states of consciousness, such as sleep and coma. He explains how he uses virtual reality to understand conditions where our idea of ourselves is distorted, such as in the Alice in Wonderland syndrome.